5. Visesh Infotecnics Ltd has applied amalgamation of the Companies; M/s. Positive Comsol Pvt. Limited shall stand dissolved and be amalgamated / merged into M/s. Visesh Infotecnics Ltd.
6. Visesh Infotecnics Ltd at its meeting held on March 15, 2011, has allotted 2,06,58,916 (Two Crores Six Lacs Fifty Eight Thousand Nine Hundred Sixteen) Equity shares to the shareholders of M/s. Positive Comsol Pvt. Ltd. pursuant to the scheme of Amalgamation / Merger with M/s. Visesh Infotecnics Ltd.
7. So I think this company may be coming multibagger. 8. 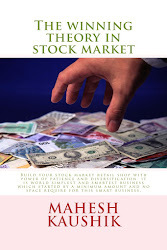 I have no any share of visesh infotecnics ltd.
Update:-I Recommended Visesh infotecnics @ 8.90 before it bonus and stock split now stock is split in 1 rupee face value and after split give a 1:10 bonus also so my recommended price is adjusted at 0.78 after bonus and split , and my currant view is hold but not recommended fresh buy because promoters pledged most of his shares and may be risky for fresh buyers but old buyers still hold it for a price recovery and profitable exit. check now price is 0.15..